No matter how often officials of China deny or refute reports of state-sponsored targeting of Uyghur (also spelled as Uighur) Muslims, the evidence for it is overwhelming. The latest damning research emanates from Asia Society’s Center on US-China Relations. 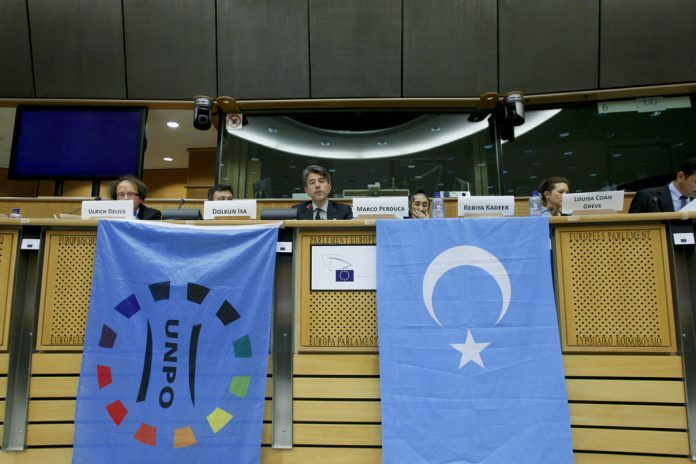 Anthropologist Darren Byler claims that more than one million Han Chinese people have moved into the homes of Uyghur Muslim families in East Turkestan (Xinjiang) province to report on whether they display Islamic or unpatriotic beliefs. Uninvited “guests”, these informers have been tasked by the Chinese government to observe and report signs that their hosts’ attachment to Islam might be “extreme”. Though China will argue that these persons who have invaded the privacy of Uyghur Muslims are “relatives” not state spies, the facts disprove their denial. According to Byler, if an Uyghur host just greeted a neighbor with the words Assalamu Alaykum, it would need to be recorded in a notebook. The absurdity doesn’t end here. The informers have to spy on whether the hosts have copies of the Quran; whether they pray on Fridays; what type of clothing is worn and whether any males are growing beards. Details of the latest allegations are reported by Chiara Giordano in The Independent, who writes that the Communist Party’s official newspaper, the People’s Daily, appear to confirm them. The paper reported that more than 1.1 million people paired up with 1.69 million ethnic minority citizens in China by the end of September this year. Surely then, China will be hard pressed to distance itself from the People’s Daily, except to rely on its manufactured false propaganda designed to mislead allies that it has to do so in order to confront “Islamic Militancy”. As is the case since 9/11, most repressive regimes have leaned heavily on America’s illegitimate “War on Terror”, to justify brutal attacks on the civil liberties of their populations. China is no exception. By targeting the entire population of Muslim Uyghurs under the pretext of fighting terrorism, it hopes that friendly governments, including South Africa, will look the other way. Thus far it appears that China’s financial largesse coupled with Israeli-style “Hasbara” (propaganda) campaigns, is succeeding in neutralizing its allies. Nevertheless, reports by independent human rights activists and organizations keep emerging regarding a million plus Uyghur Muslim adults forcibly sent to internment camps. Children are reportedly being placed in state-run orphanages across Xinjiang. The internment camps are particularly notorious. Those who have spent time in them, have claimed that they were forced to undergo an intensive indoctrination programme, urged to renounce Islam and instead heap praise on the Chinese Communist Party. Beijing’s crackdown on the Uyghurs is unprecedented, both in scale and in intensity. Forced indoctrination to subvert Islamic teachings and replace Muslim beliefs, is a malicious assault on freedom of religion. As pressure from human rights groups mounts against China’s repressive policies, the question South Africa must give serious consideration to is whether Beijing’s conduct is in conflict with its obligations under the international humanitarian law. By all accounts, it is at direct odds with international conventions and the UN charter on human rights. Targeting Islam by outlawing adherents from practicing its teachings while at the same time fueling Islamophobia to gain sympathy from western governments, is as futile as the unconvincing public relations game unleashed by China to bluff the world. East Turkestan (Xinjiang) is fast turning into another Kashmir or Palestine where China has for a long period applied various methods to subjugate the 12 million-strong population of Uyghur and other Muslim ethnic groups. "Other places of critical strategic and national importance"